Get familiar with our methodology at home or in person with an online course or a workshop. We are proud to offer the first Art4Healing® method certificate program in the country, in partnership with Brandman University. We teach the Art4Healing® method to counselors, teachers, therapists, medical professionals, artists, and others who help children and adults suffering from abuse, illness, grief or stress. With our certificate, you can use the Art4Healing® method in your practice to supplement existing art, educational, or other forms of therapy. Join us today for educator training, exclusively at our studio in Southern California! 100% of proceeds support Art & Creativity for Healing and our Art4Healing® programs. 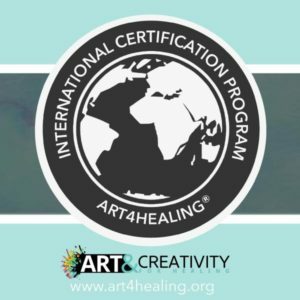 We are proud to offer the only globally recognized Art4Healing® Certification, exclusively available online. We already have participants enrolled from 3 continents! Participants have up to 9 months to complete the program. To become certified online, students experience and complete Art4Healing® workshops and assignments through an online platform within a timeline of 9 months (or less). Students are matched with an Art4Healing® Coach who will answer questions and review his/her assignments and facilitated workshops. Get Certified and spread the Art4Healing® message! Our Art4Healing® methodology is for Artists, Teachers, Counselors, Therapists, Medical Professionals and others to use in their work. We offer three levels of Art4Healing® DVD teacher training. These self-paced courses explain methods to process abuse, illness, grief, and stress using the language of color and abstract painting. 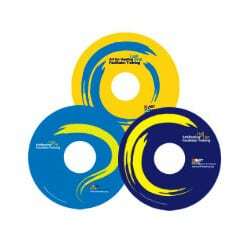 Please note: We do not offer Art4Healing® Certification with the DVD Training! All proceeds for the DVDs support free workshops for those living with abuse, critical illness, military service, homelessness and grief.